You’ve got your fats, carbs, and proteins… but are you missing out on the nutrient of light? Just like food, light provides critical sustenance for our bodies. Our body metabolizes different wavelengths of light for different functions, just like it utilizes the macronutrients of fats, carbs, and proteins differently. Most of us don’t get exposure to light wavelengths that support our body’s healing processes. By incorporating light therapy into our day, we can support better energy, immune function, sleep, improved metabolism for weight loss, skin health, and injury recovery. Joovv is the most effective and accessible form of red light therapy, and it’s been a part of my daily healing routine for six months. At the far right end of the spectrum, we have X-rays and gamma rays that are dangerous to our health. On the far left end, we have the electromagnetic frequencies (EMFs) used for WiFi and cell communication, which are also health hazards. Other wavelengths of light offer different healing properties. Red light and infrared light are two of these wavelengths, and Joovv features both of these. The specific type of infrared in Joovv is important to note. 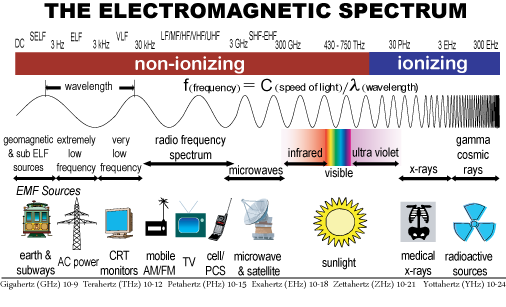 The three categories of infrared light include near infrared, mid infrared, and far infrared. Each of these wavelengths penetrate into the body at different levels, and are metabolized differently. Joovv features near infrared, which offers the most skin-healing effects of all the types of infrared. It also emits visible red light, which has additional health benefits. Additionally, clinical research consistently shows that red light therapy can support healthy fat loss and reduce waist circumference (read more). I believe we get healthy to lose weight, rather than lose weight to get healthy. Red light therapy can support your health so that weight loss happens more easily. Before Joovv, red light therapy was limited to small handheld devices or extremely expensive professional devices. After experiencing the transformative effects of red light therapy at a local salon, Melissa Strahan had the idea for an affordable red light device that could treat the whole body. She co-created Joovv with her engineer husband, and their company quickly took off. Just like taking a vitamin or supplement, you’ll see results after using Joovv consistently. Dramatic improvements in skin appearance may take 6 to 8 weeks, but many people notice other results sooner. I noticed improvement in my mood and sleep almost immediately, within the first week. I credit the mood-boosting effect to the bright red light exposure in the morning. (I live in Seattle, where it is grey most of the year and experience mild Seasonal Affective Disorder from the dark days). I know red light isn’t sunlight, but I believe the visible, bright light did positively impact me. I tend to struggle with insomnia, a pattern I’ve faced my whole life. When I first began using Joovv, I noticed a dramatic improvement in falling asleep. On days when I missed my Joovv therapy, I noticed my sleep was more easily challenged. Within a few weeks, I noticed improvements in the healing of old acne marks on my face and back. A month in, I felt consistently more energized in the mornings. Through kinesiology (muscle testing) I’ve found that Joovv supports my thyroid function, which has always tended towards low function. There are also over 300 5-star real reviews on Joovv’s website. I firmly believe a morning routine can set the stage for a successful day, this is one part of my morning ritual. The combination of the red light therapy and the raises my vibe both physically and emotionally. The bright red light helps wake me up, similar to morning sunlight (which I often lack, living in Seattle). The music and uninhibited dancing lifts my spirits and raises my energy, and the near infrared light boosts my body’s function, at a cellular level, for the rest of the day. My Joovv + dancing routine is a better energy booster than coffee… which I gave up last year, anyway. The one-time setup for Joovv is as easy as hanging a hook over a door. So when I use it each morning, I only need to flip a switch. I turn on my rather eclectic Dance It Out Playlist, which you can listen to here on Spotify. I dance for 10 minutes, standing within a few inches of the light panel. I spend an equal amount of time facing towards and away from the panel, to receive the light therapy on my front and back. 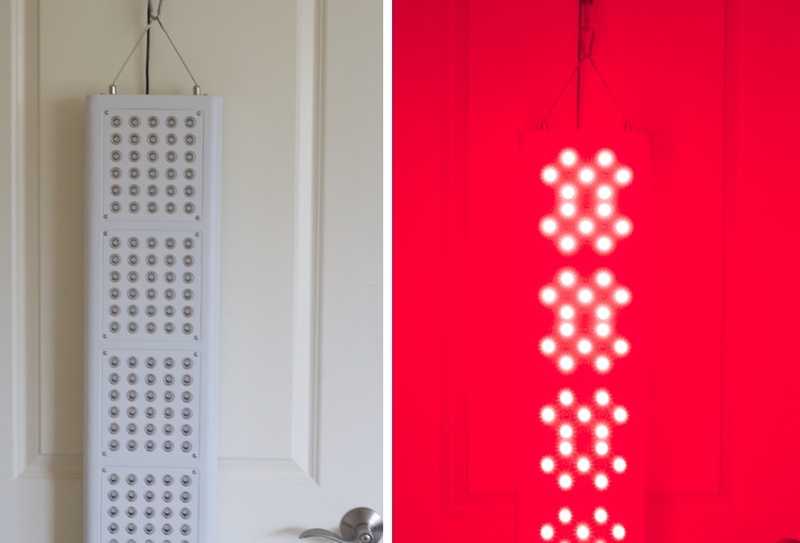 Ready to start at-home red light therapy? What’s the difference between your Joovv and your infrared sauna? My Sunlighten infrared sauna features far infrared light and Joovv offers red and near infrared light.These are different wavelengths with unique effects in the body. I discuss a few more differences in the video above. Is a Joovv really worth the investment? I consider my health my most important investment, which is why I’ve chosen to prioritize health-related purchases over other expenses. For example, I do not purchase a cable subscription or Netflix subscription. I avoid that expense of about $1,000 per year… that’s the price of a Joovv! Do the light bulbs ever need replacement? Nope, the LED lights have a lifespan of 50,000 hours.